Continuing with my cherry-blossom pics from last year, here are more from my trip to Daigo Temple last April. 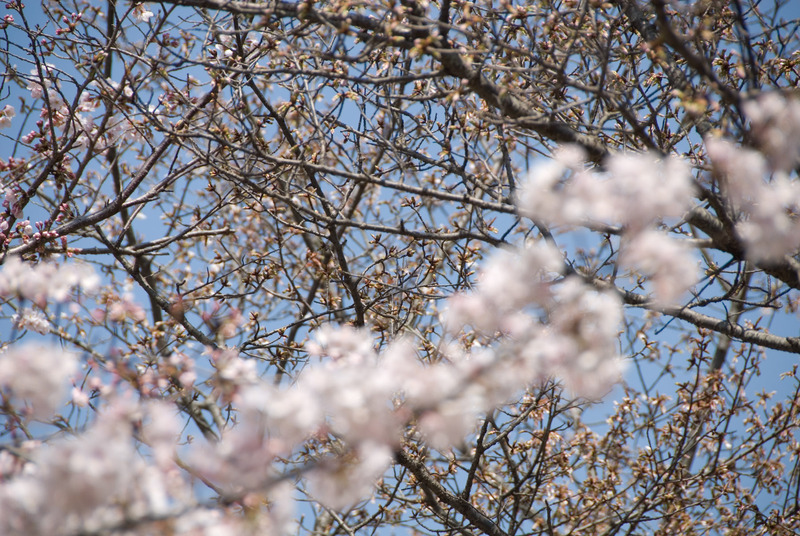 Last year's cherry-blossom season was pretty bad in the sense that the trees didn't all bloom in unison, but each at their own straggly pace. In the picture below, you can see that many of the trees on the right side have yet to bloom. 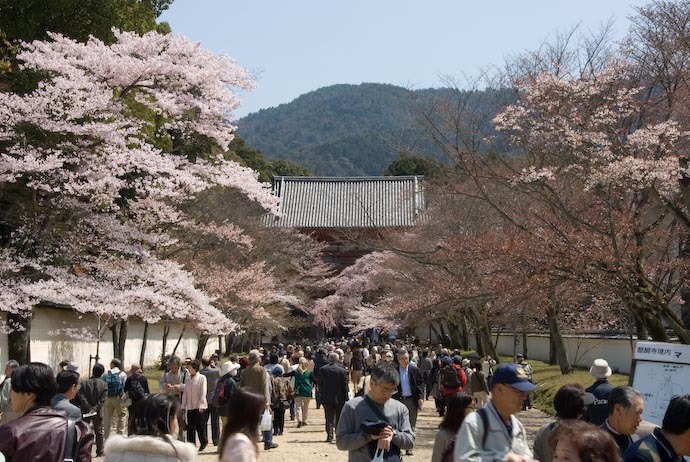 The area around Daigo Temple was very crowded, yet oddly nice nevertheless. 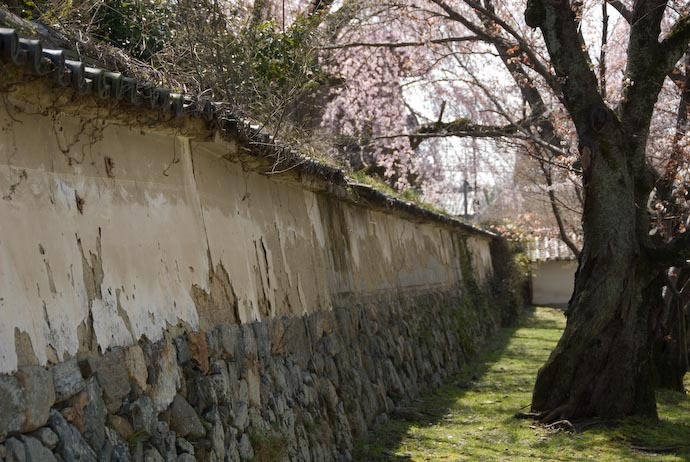 This is in contrast to the ugliness some areas become during cherry-blossom season (the subject of one of my very first blog posts). At Daigo, the crowds were quiet, not smoking and not drinking, and as such, everyone could enjoy. Again in the last picture, you can see many trees that hadn't yet bloomed. I hope this year will be better. The blossoms starting appearing on the trees outside my window a few days ago, but there are still only a few. The trees lining the canal haven't started to bloom at all, at least not that I've noticed. A week from now, it should be most excellent. Beautiful pictures. 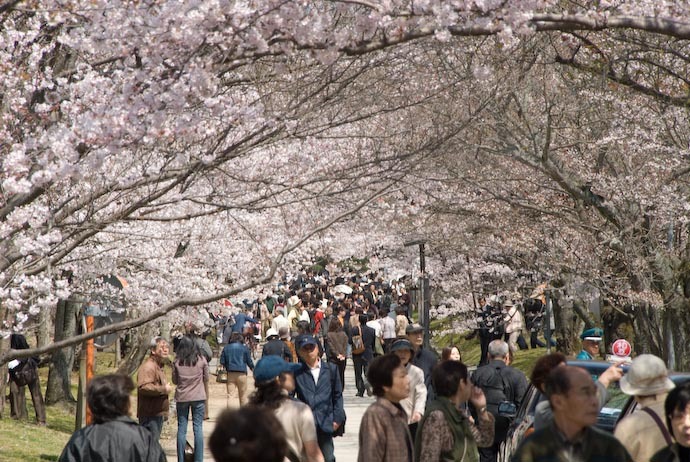 Cherryblossom is really one of the nicer things in Japan (if the celebrating public is not too big and too drunk, you said it). 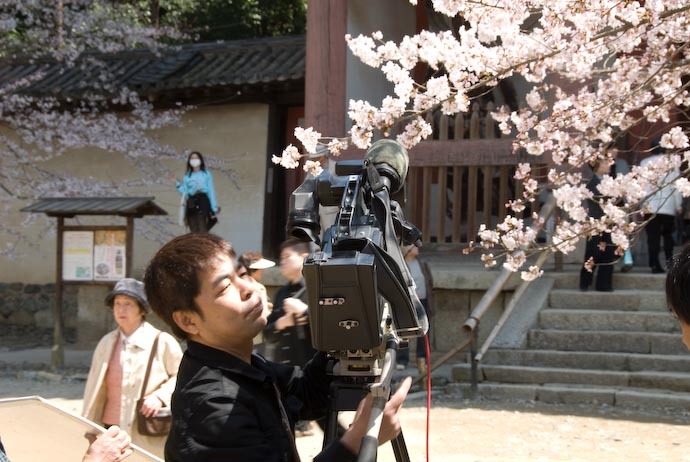 I specially like the microphone fixed at the camera in the penultimate picture – as if the guy would interview the blossoms. 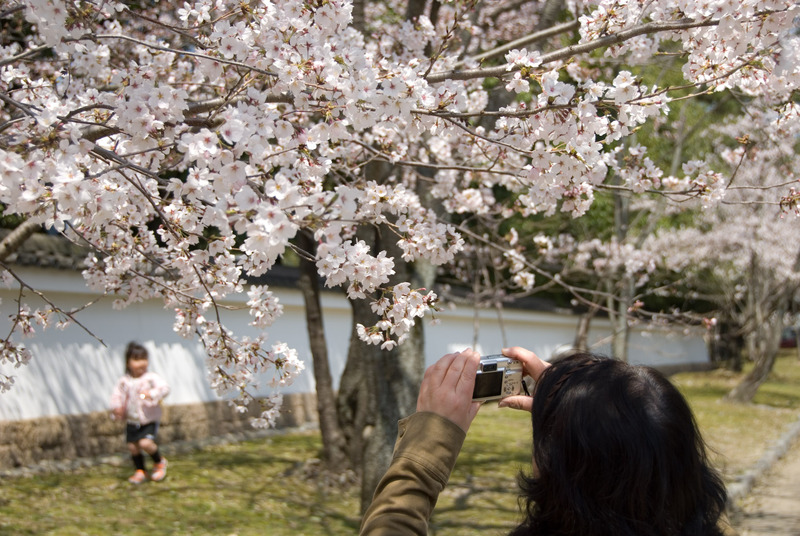 By the way, our place, Kitakami, is a famous hanami-spot, too, the third most important of Northern Japan. Flowering takes place up to a month later than in Tokyo, so many people come in buses from there (500 km!) to see it again.